The updated version of Google Search for iPad tablet has launched with a cool voice recognition feature. It also has a visual search history tab and a version of Google Instant. Voice activated application is a big craze in mobile gadgets nowadays. 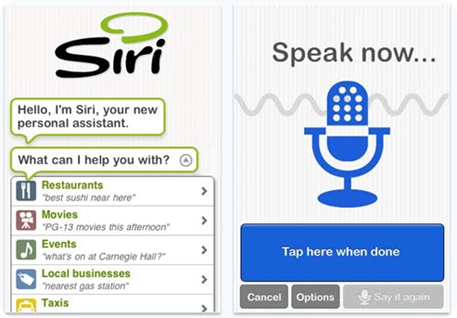 Apple created a huge hit with iPhone 4S with the Siri application. The newly released iPhone 4S’ major come-on and the thing that sets it apart from iPhone 4 is the Siri voice activated software. The new search app for iPad has multiple panes so you can go to your favorite websites much faster. Google is creating a lot of applications for iPad- being the dominant player in the tablet market with big steps ahead of the Android market. Meanwhile, Android 4.0 Ice Cream Sandwich is slowly making its way to tablets and smart phones with the goal of using these two operating systems with a single cool app. It was a surprise that Google is riding on the iPad popularity. The two companies rival in the computing world but are now making strategic marketing moves that do not only allow them to profit, but in essence, allows us users to take advantage of great and useful apps. Interested in your products and call for products representative in Nigeria. Send details for more discussions. Kung pwede na rin apply sa iPhone 4 ung SIRI mas maganda pero baka hindi kaya ng system requirements. I wanna test how good SIRI is.